The All New RAV4 is fully equipped to handle all family adventures. Its intelligent all-wheel drive adapts to the conditions, whether you’re tackling muddy lanes or city streets. The Toyota Safety Sense package, featuring pre-collision systems and adaptive cruise control, takes driver assistance to the next level and helps you respond to potential dangers. With its exterior design and contemporary interior space, the All New RAV4 looks the part. With a wide range of active safety features and dynamic drive, it acts the part too. At the front a high driving position and seats are designed to ensure pure comfort, while the rear has plenty of shoulder room with generous footwells, giving passengers ample space. The New Toyota RAV4 made its world debut at the 2018 Paris Motor Show. 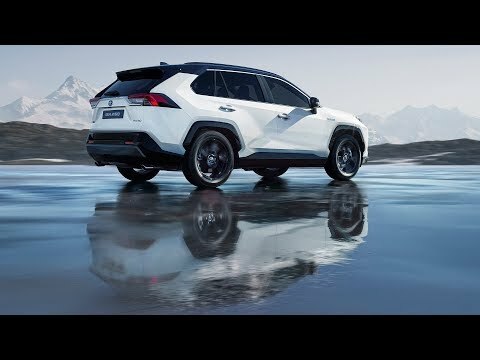 The New RAV4 is due at our showroom in mid February 2019. Get your name down for a test drive at either Leicester or Loughborough to experience everything new that the New RAV4 has to offer.